all aspects of the health and care of the skin, hair, and nails. Our techniques are minimally invasive. This means the least possible downtime for you. Every treatment is done onsite, under local anesthesia, for greater safety, faster recovery and more convenience. Two-step care for long-lasting results. The services we provide are just half of the story. 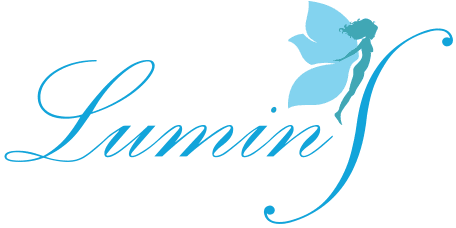 At LuminS Medical Spa, we help you make the changes you want to make, and then continue working with you to enhance the benefits for a lifetime. To do, this, we combine aesthetic/cosmetic services with superior products you use daily at home to reinforce and maintain your results. Our procedures are medically supervised and scientifically based, using state-of-the-art equipments and expert clinical staff. Our professional strength iBlanc products are designed to protect and promote healthy, vibrant skin. Using them means you are making an ongoing commitment to protecting your skin. Dr. Anh-Dao V Le is an aesthetic dermatologist at LuminS Skin & Body Rejuvenation Center in Garden Grove, CA. Dr. Le works with a wide variety of patients in Southern California, specializing in procedures including Body Contouring- with Vanquish ME, Acne Treatment, Chemical Peels, Tatto Removal, Laser Hair Removal, Melasma Treatment, Skin Rejuvenation, Botox Injections and Dermal Fillers. Dr. Le graduated from University of Miami School of Medicine in 1994. She then went on to complete an internship in Internal Medicine at University of Texas Southwestern-Parkland Memorial Hospital in Dallas, Texas. Dr. Le completed her Dermatology Residency at University of South Florida College of Medicine in 1998, where she served as a chief resident. Dr. Le's philosophy of care is a highly patient-focused one. She believes in listening to her patients so that the problems and concerns can be clearly identified. With this in-depth understanding of what her patients want, she is able to help each person reach their most beautiful self. Call to request a consultation with Dr. Le today! "Dr. Dao is the best dermatologist I've ever visited. She genuinely made me feel like she cares about my needs." "Dr. Dao did a great job of treating my acne and acne scars. Besides treating my acne, she was very caring and attentive when showing me how to take care of my skin."